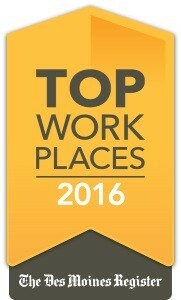 Express Logistics has been awarded a 2016 Top Workplaces honor by The Des Moines Register. Express Logistics was named as the #8 top workplace in Iowa for the Small Business category. The company was also named a Top Workplace in Iowa in 2015. View the full Top Workplaces list here. Express Logistics, Inc. is a leading third-party logistics (3PL) provider specializing in LTL, truckload and intermodal freight solutions. At Team ELI, we deliver on our promises while building an environment where our employees love what they do and have fun doing it. We are family owned and our corporate office is located in Waukee, Iowa.